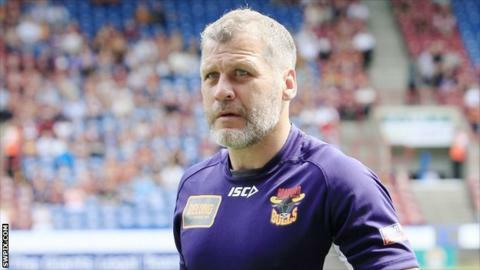 England Rugby League have appointed Bradford Bulls head coach James Lowes as assistant coach to Steve McNamara. Lowes, 45, played alongside McNamara at Bradford and replaces Paul Deacon as a member of England's coaching team. The former Huddersfield head coach has been appointed ahead of England's matches against France and New Zealand this autumn. "This is a massive honour for me and I am absolutely delighted to have this opportunity once again," Lowes said.